Home / Blog / Are You In the Market For A Furnace? Most will agree—when it comes to purchasing a new furnace, cost is a primary concern. Yet, characteristics such as efficiency, size and type all contribute to how much money is spent. Therefore, while more money is spent purchasing a better furnace, homeowners get that money back in energy savings on a month-to-month basis. This is why HVAC professionals encourage consumers to go with the most efficient system that they can afford. After all, this determines how much heating power is transmitted to their homes. Angie’s List notes a few more important considerations in regards to system type, fuel source, zoning systems and indoor air quality. For instance, homeowners can choose a split system or packaged system. In essence, a split system takes up more space physically, and is usually found in basements or crawl spaces. On the other hand, packaged systems provide the same quality of heating and cooling, without the components. In these cases, the system is typically located in an outside unit. Without question, when it comes to system type, it’s a matter of the layout of one’s property and home, as well as personal preference. Yet, when it comes to fuel source, homeowners are met with several options, some of which include gas, electric and propane (oil). 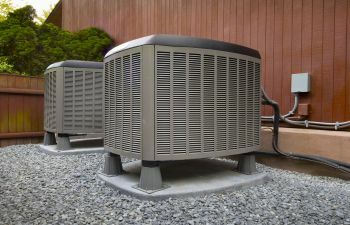 Perhaps the most economical solution is the heat pump, as it provides both heating and cooling, while using less electricity. Even so, gas furnaces remain a cost-efficient solution, particularly when temperatures dip below freezing. While propane heaters take up space and are more expensive to run, they are an important alternative for older homes that do not have gas lines. Aside from the system type and fuel source, furnaces require attention to zoning issues and indoor air quality. In other words, homeowners want a furnace that will heat their homes with air that is clean and evenly distributed. While you may be investing in an efficient, top-rated system, installation and maintenance is key. Family-owned and operated, ClimateSmith, LLC are your heating and cooling specialists serving Alpharetta and surrounding Atlanta communities. With a reputation for excellence in service and repair, our technicians invite you to call today if you’re looking for a new furnace for your home or business. You can be sure—we’ll help you make a well-informed decision that is comfortable and budget-friendly.